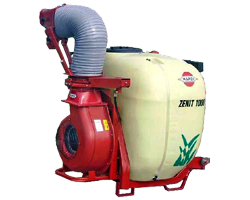 World famous sprayer and mistblower products imported from Denmark. The Hardi range includes NK series boom sprayers, Zenit air blast and cannon mistblowers and a full range of backpack sprayers. 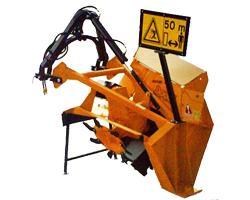 Dondi rotary ditchers are specialised ditching equipment for desilting and maintaining field drains in farms and plantations. 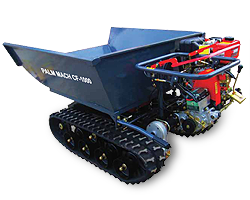 Light-weight low ground pressure rubber crawler dumper designed to work on peat and soft ground conditions. 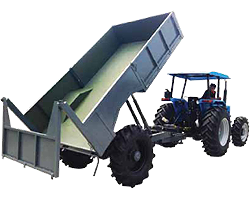 PTO Driven Trailers are especially useful for transporting goods in hilly and undulating terrain. Powered by a tractor's PTO, the PTO Driven Trailer provides full traction during haulage.